Members of the "Coral King Dive Club" first photographed this unidentified F4U-1 Corsair naval aircraft off the south shore runway of Midway Naval Air Facility (runway 15-33) in 1976. 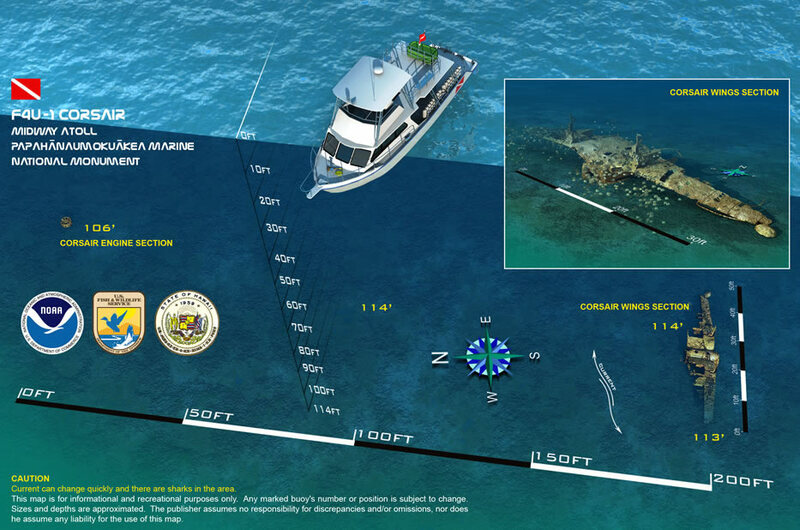 At that time, the aircraft was upright on the seafloor and more intact. Storms and surged have since changed the site. 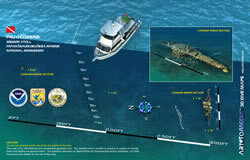 Following the management of Midway Atoll by the U.S. 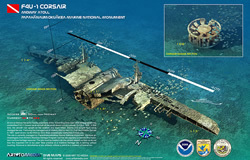 Fish and Wildlife Service in 1997, sport divers via the Midway Dive Shop occasionally visited this Corsair site. 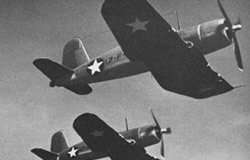 Many regard the Vought F4U Corsair as the best single-seat fighter plane in World War II, achieving an 11:1 kill/loss ration in the Pacific theater. The plane's distinctive bent-wing design allowed the use of an over-sized propeller and, combined with a powerful radial engine, this produced a maximum air speed of 425 mph at 19,900 feet altitude. The first production F4U-1's were delivered in October 1942 (therefore, the site at Midway is not directly associated with the Battle for Midway in June, 1942) and many of the earlier versions were put into service by Marine Corps aviators in close ground support roles. 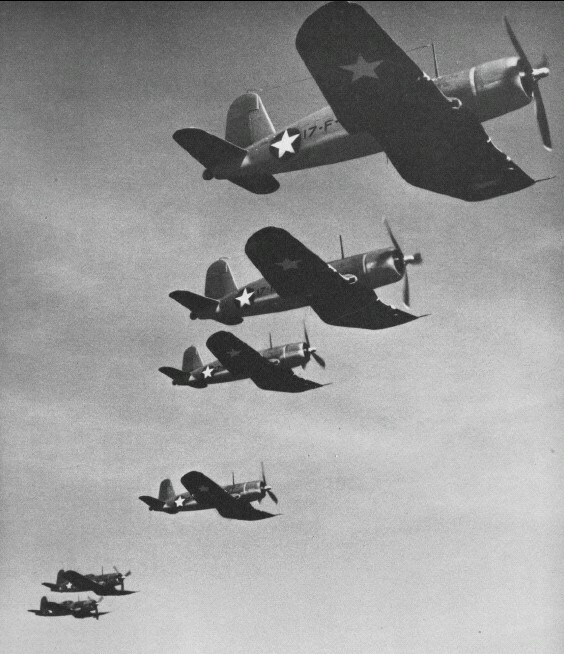 The Corsair remained in wartime production through 1952. 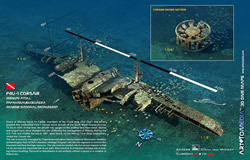 In 2007, a team of maritime archaeologists visited the site. 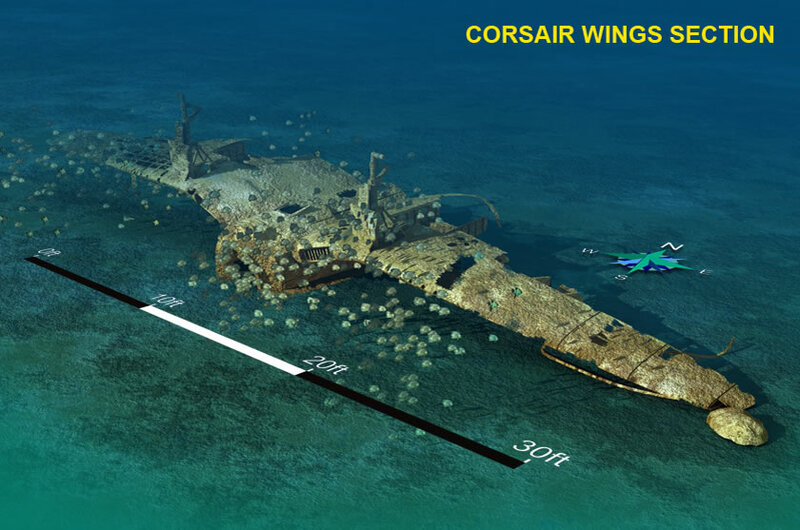 Their objectives were to conduct video and photo reconnaissance dives on the Corsair in the hopes that this documentation will help lead to its identification. 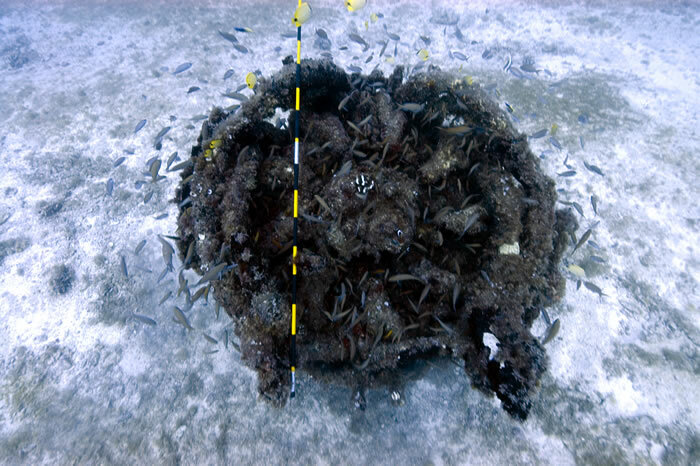 While documenting the spaces within and underneath the fuselage and wing sections and inside the landing gear recesses the survey team found that these areas provide a wide variety of fish species a wealth of habitats in which to shelter. 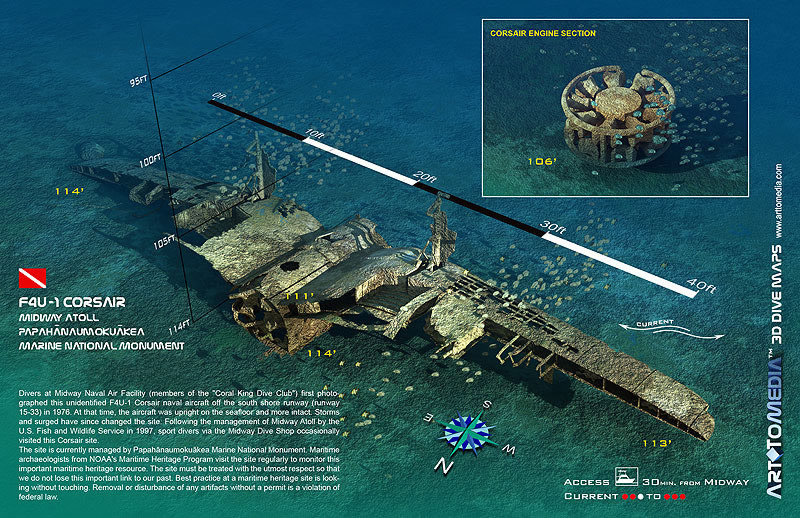 The remains of the Corsair are the only conspicuous topographic feature on the relatively flat bottom at its 110-foot plus depth. Literally, a cloud of fish can obscure the visibility of the aircraft wreck. 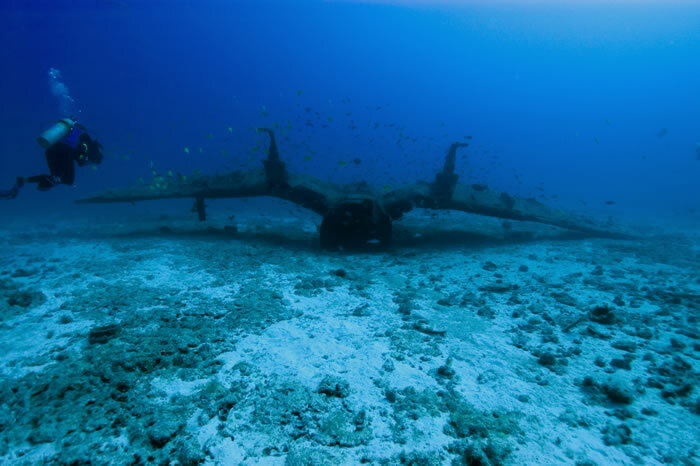 Searching for the identity of the Corsair aircraft south of Kure Atoll provides a glimpse into the history of naval aviation in the Pacific. The US Naval Historical Center in Washington D.C. (Naval Aviation History Branch) maintains records on many naval aircraft losses. 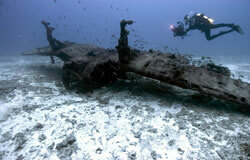 Currently, the aircraft inventory for losses in Hawaiian waters (for the years 1925-1952) lists 1,485 entries. By far, most of these losses reflect the hazards of training and non-combat operations. 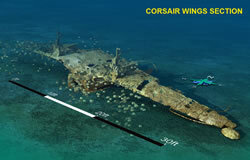 F4U Corsairs comprise 204 of these 1,485 entries, six and of these 204 are specifically noted as lost at Midway Atoll in the Northwestern Hawaiian Islands. The number of naval aircraft lost in the Hawaiian Islands (1,485+) is a testimony to the logistical effort and commitment of the nation during the development of aviation in the Pacific. Many young pilots found themselves in intensive training operations over unfamiliar waters, forced to ditch due to engine failure, mid-air collision, etc. 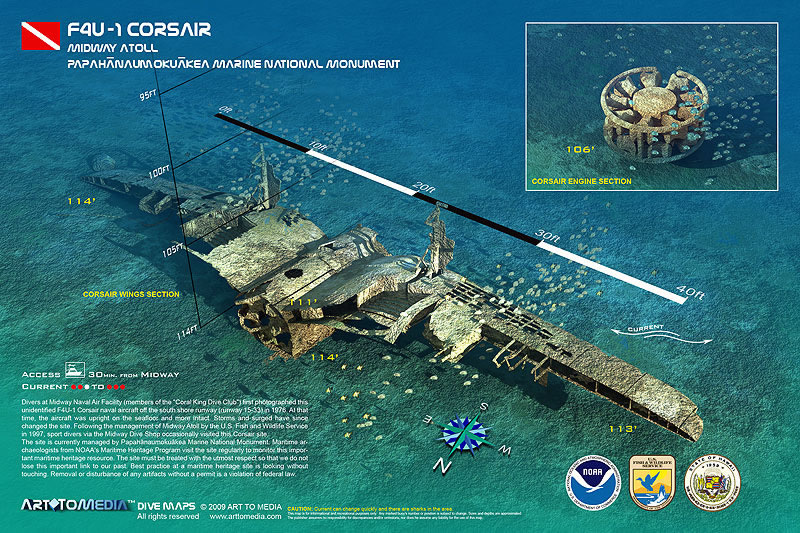 Naval aircraft like Corsairs recall that development of aviation technology and some of the historic events of World War II, particularly when they are found in association with unique locations like Atoll, approximately 60 miles northeast of Midway Atoll.